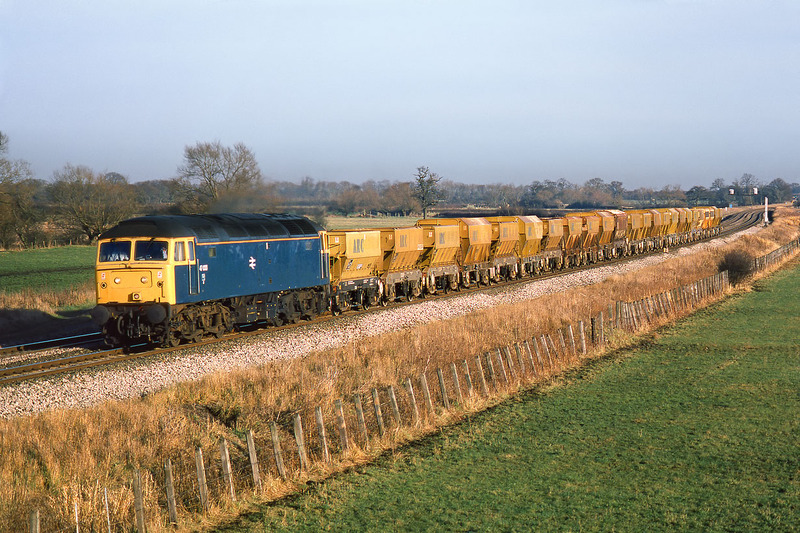 47033 passes the site of Ashbury Crossing, near Shrivenham, on 10 December 1986 with the 6V17 10:00 Allington to Stoke Gifford ARC stone empties. Generally these trains were worked by Class 56s at the time, although 47s were not uncommon. Note that 47033 had just received the then recently introduced cantrail orange stripe.